After 48 hour of offering no commentary whatsoever on a ruling by the European Court of Justice that dismissed both Hungary’s and Slovakia’s complaints about equitably resettling mostly Syrian refugees among EU member states, Prime Minister Viktor Orbán finally spoke to the issue in his usual Friday morning radio interview. The usually loquacious Hungarian prime minister was frugal with his words. His main message to radio listeners was to say that he agreed with Slovak Prime Minister Robert Fico wholeheartedly, who had previously confirmed that his country would begrudgingly agree to accepting the quota and would take in the required number of refugees. “I agree down to the letter with Slovak Prime Minister Robert Fico’s position,” remarked Mr. Orbán, eschewing his usual hyperbolic rhetoric on the issue. Less than a year ago, Hungary held a failed referendum against obligatory migrant quotas, insinuating that the EU’s joint decision to redistribute the refugees and migrants, especially those in Greece and Italy, was somehow unlawful. Today, Mr. Orbán conceded that the court ruling must be respected. 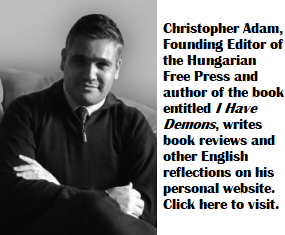 “Hungary is a member of the European Union, the Union’s internal affairs are arranged through treaties. And this also means that its court rulings must be respected,” noted Mr. Orbán. Then, just to make sure that supporters of the ruling Fidesz party got their regular glimpse of the main international bogeyman, Mr. Orbán made reference to George Soros and insinuated that the EU court’s decision opened the doors for Mr. Soros’ international conspiracy to further unfold. 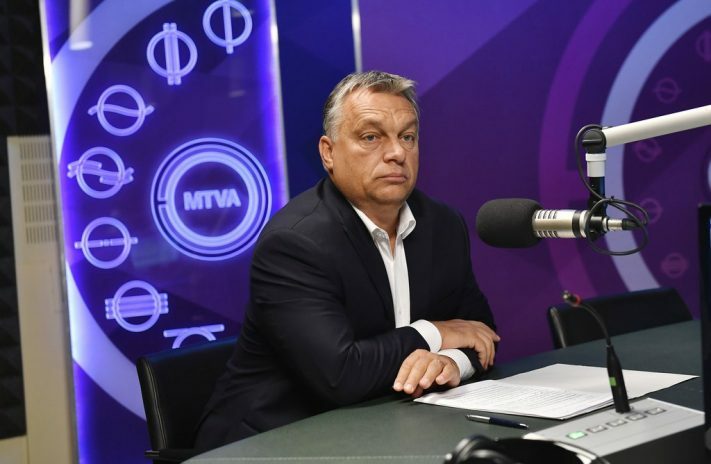 “I will never permit them to transform Hungary into a country of immigrants,” added Mr. Orbán, also noting that Hungary cannot be compared to former western colonial powers that became immigrant societies after their colonial empires fell apart. “The former colonial powers of the European Union have today become immigrant countries. Now they want to force their will on us. I was given a mandate from Hungarian voters to safeguard Hungarian culture and Hungarian identity,” added the prime minister. The theme of western colonialism was also raised by Zsolt Bayer, Mr. Orbán’s close friend and far-right columnist. Mr. Bayer published a map of colonial Africa on his blog, showing the various European colonial powers, including Britain, France, Spain, Portugal, Belgium, Germany and Italy. He entitled his blog post: “A little help in the distribution quota,” suggesting that former colonial powers should be the only ones forced to take in asylum seekers. It’s worth noting that it is far from certain that Hungary will have to take in any of the much maligned asylum seekers at all, despite the ruling. The current agreement on quotas, struck in 2015, expires at the end of this month. Mr. Orbán’s government may be able to cause enough delay to make it to the end of September, at which point it is questionable whether Hungary can be required to take in a single refugee. The one thing that can be foretold with a great degree of certainty is this. Any refugees of color who will be settled in Hungary after this message from the Hungarian PM, and his racist publicist, will want to get out of Hungary as fast as his or her feet can take them. No doubt, they will get a parting kick in the back, for being ungrateful and unwilling to integrate. The court of Justice medicine will be taken by the Hungarian government, but with a great deal of grimacing and coughing. Just wait to hear about the horrors, the ungrateful savages will commit in such wonderful places as Salgótarján, Tapolca, Diósgyőr. With the appropriate propaganda strategy, Orbán may win an even larger majority at the polls in 2018 than he has now. His defense of Hungary’s racial, religious, white, “purity” is his ticket to ride. And the hapless EU bureaucrats just keep on footing the bill, instead of sending him packing. With this court ruling the EU is now officially in the business of cultural genocide. There is no other way to describe it. There is no difference between forced migrant quotas and China’s colonization policy in Tibet for instance. But there’s a way to describe what you’re saying – boll..s, nonsense, dumb propaganda, BS, etc. If any culture is being smothered, squared or killed, it is the Hungarian one at the hands of these half baked thieves with their primitive and infantile ideas. You must have a very low opinion of Hungarian culture if you think it is so weak that some 1,500 immigrants would destroy its culture. Seems a bit hysterical to me. So let me get this straight! You think there is an acceptable number of colonists that can be imposed on a distinct local culture, against their will? Wow!!! The Beijing party bosses would love you! After all, that is what they are doing in Tibet. Hey! First time we are in complete agreement – a couple of refugees are irrelevant. Unfortunately the Orbán mafia have thousands of hacks wielding their sledgehammers of power. Just in this morning news was that Orban objected to the ruling and pledged to continue to fight it. So, he changed his mind? Or is he up to something else? You surely know the expression “haggling with a gypsy horse trader” …. Orbàn’s puppet L.Parragh stated yday that Hungary commands the respect of a much bigger country, e.g. one with 30-40 million population. When pressed he seemed to mean rather name recognition. Since this is the result of the mainly bad publicity flow, I think Orban is being dwarfed in this sport by ISIS: they are less than a million and have a much broader recognition. Orban doesn’t have a chance there, it would take too many heads ..
Waite just minite Reality Check, Merkel’s first demand was 65,000. Do not forget she is paying Erdogan to keep 10 million in tents, but for temporarily. Germany took in a million in the very start. There is more where they come from. This is really going to open door for all who want to go to Europe. The EU impotent to stop it. Your personal hate toward this guy may mislead you all. The record is that wages are up by 14.3%, unemployment is 4.2%, inflation 2.3%. Hungary had a 19% corporate tax rate, that was just reduced to 9%. No wonder falks in the UK demonstrate with signs that says :”Orban for UK’s PM”. Many even in US envious, where the corporate tax rate is 36%. Trump hopes to lower it to help the economy. In Germany it’s around 48%. Just where would you invest your money ? Places where it is much higher? OR where lower? But it is only investments that helps the economy and the workers, thus everybody benefits. You are blindsided by the century and a half old Marxist propaganda. That is why it never worked anywhere. Those that are forced to hang on to it are actually starving, not just for freedom but for basics like food. Yeah, go see how life is in Cuba, Venezuela, North Korea. Go and be happy there. Adios ! Europe was a continent of barbarians to begin with- from the Vikings, to the Barbarians ( German area) to celtics, to etruscans, Dacians, THE MONGOLS! OMG – when Bendegoose and Curious Yellow jump into the pool the water turns brown, and begins to smell. But Peter has added an additional, perhaps a lighter color – kaki (sic)- and a more pungent aroma. The number of refugees Hungary has been asked to evaluate is 1,290. This is 0.01% of Hungary’s population. The share of of “foreign matter” inserted by the above named individuals into this confined space, by comparison, is about 75%. No wonder most people with any sense of mental hygiene stay clear of this wadding pool. It must be also repeated: The Eropean Court of Justice is asking Hungary to evaluate refugee claimants, rather than migrants. (The two categories of immigrant claimants are not the same. Refugees come under the Geneva Convention of 1951, the other does not.) Europe is not forcing Hungary to alter it’s immigration policy but to observe it’s commitment to the Convention, and at a level that in no way endangers that country’s cultural homogeneity. The Hungarian PM’s rhetorical and political grandstanding is a disgrace. The EU should suspend and further subsidies to a member state, that is unable to maintain any semblance of civility to people of color, who are fleeing persecution. Peter and his racist friends above should go to hell, rather than pollute the waters here.